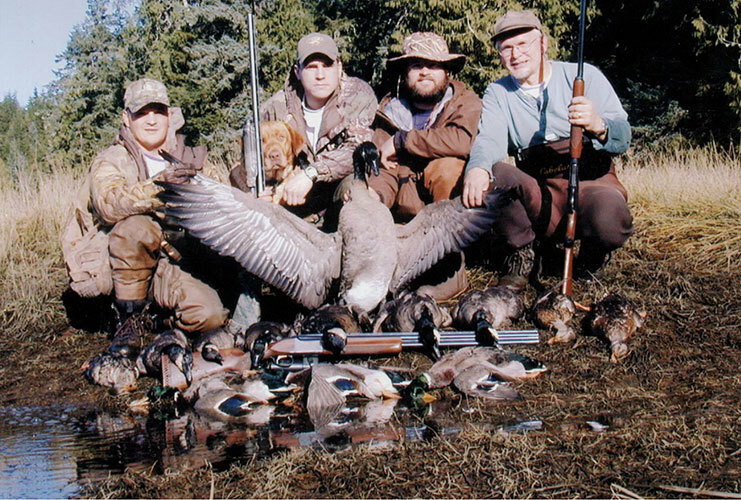 J and J Charters is a family owned and operated business has been in operation since 1999 out of Coffman Cove, Alaska. Located on the Northeast side of Prince of Wales Island. Our business is well adapted to family groups who wish to try many of the exciting things Southeast Alaska has to offer. Fishing: Both saltwater or freshwater lakes and streams. Ocean Tour: Where you can see breathtaking scenery of snow covered mountains on the horizon, Humpback Whale, Killer Whale, Porpoise, Sea Lions, and Eagles. 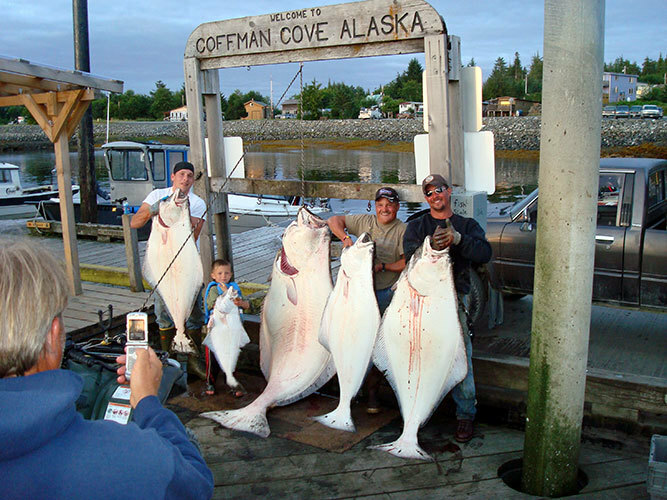 All of which inhabit in or around rich and abundant waters of Southeast Alaska. Sightseeing and Whale Watching: This package can be combined with any of the packages we offer. It is not uncommon on the saltwater charter to see several whales, Eagles and an abundance of other marine mammals and birds. The fresh water charter also offers wide varieties of animals. Viewing Bear, Deer, Eagles and an occasional Wolf are just a few you may see on this charter. Also Offering: Bear Viewing. For the serious and not so serious fisherman, this is the place to come. We have some of the most versatile fishing in the world. 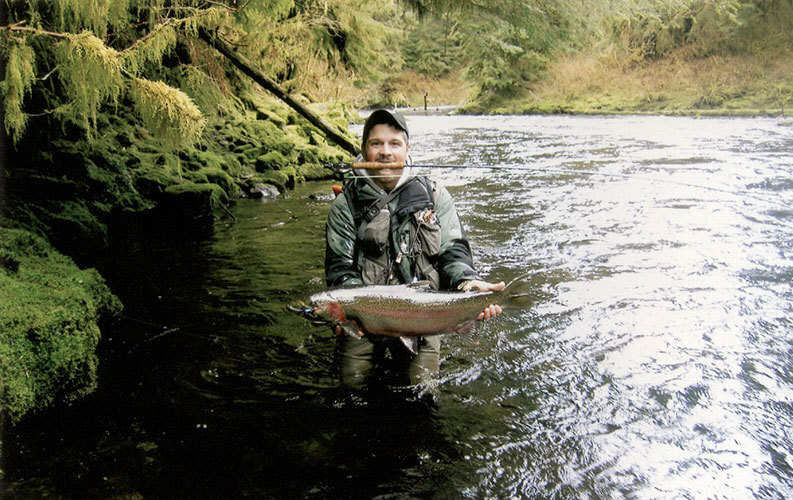 Freshwater fishing the many streams and lakes for wild and exciting salmon on light tackle. 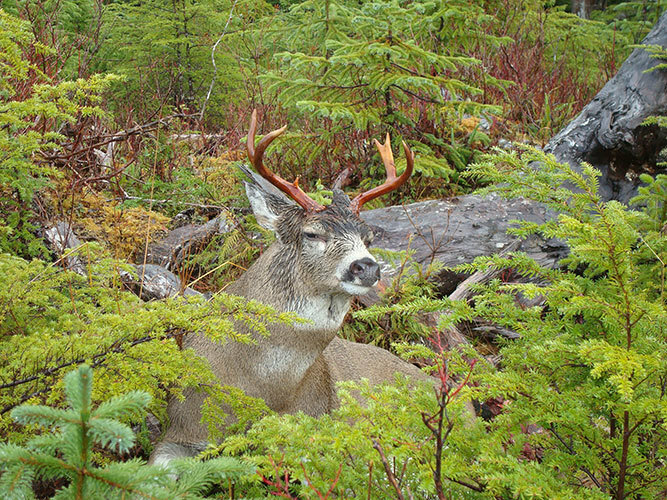 While being surrounded by Tongass National Forest. Filled with wild life, the Deep Sea Fishing has a lot to offer. The Inside Passage off Southeast Alaska is filled with salmon and many different species of bottom fish. For more information on our main charters, please use the navigation above. We are a non discrimination equal opportunity business permitted by the Forest Service. Salmon, Trout, Char, and Steelhead. Black tail-deer, black bear, wolves, and more. We will be happy to send you a free brochure!